A blog to raise awareness about diabetes, "the silent killer". Ten years ago this month, a cardiologist told me I was a prime candidate for dropping dead at any moment because my heart was clogging up, as if Elmer’s glue was flowing through my veins. I checked into the hospital the next day, and doctors were cracking open my chest for a five-way heart bypass that saved my life. I’m telling this story because November happens to be American Diabetes Awareness Month – a time to focus attention on a growing disease that hits 30 million people in America and more than 80 million people who are diagnosed with a ticking time bomb called “pre-diabetes.” If we do nothing, it is projected that one in three people will have diabetes by 2050 and I can only imagine what that will do in terms of health care costs. As I celebrate my 10-year anniversary of my new lease on life, this also is a good time to reflect on what I have been through, what could have happened and maybe offer some hope for those who are battling this disease. Nobody dies directly from diabetes; it’s the complications from this silent killer that can make death a welcome relief in the later stages. Heart disease, kidney failure, stroke, amputations and nerve damage are among those complications. If I didn’t have the bypass surgery 10 years ago, I wouldn’t be around to tell my story. Instead … I’m 64 years old and feeling great. My heart is strong and healthy, my eyesight has fully recovered (I don’t need glasses, except for reading) and – get this -- I’m getting more distance on my golf shots than I’ve seen in decades. That isn’t supposed to happen! I don’t know if all this is the result of the grace of God, or dumb luck, but I’ll take the outcome. 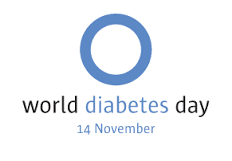 Diabetes is a horrible disease, but it is not a death sentence. It can be managed and some of the effects can be reversed (I’m living proof). Certainly, diabetes means some lifestyle changes – more exercise and better eating. There’s plenty of help for those with the disease, including the American Diabetes Association that is leading the effort to find a cure for the disease. The ADA also provides expertise in management and offers tips for a healthier lifestyle – such as more walking and smarter cooking. So, it’s isn’t all gloom and doom – although there’s enough information that can scare the daylights out of people. Diabetes is the leading cause of kidney failure and two of three people with diabetes die from heart disease or stroke. The rate for amputations for people with diabetes is 10 times higher than for people without diabetes. The national cost for treating the disease is estimated at $245 billion. The National Institute of Health and the Centers for Disease Control are entities that are working to find a cure. Aside from that, there are no grand government solutions. Individuals have responsibility to help themselves. It starts with the home and parents promoting a healthier lifestyle for their kids, who will be part of this world in 2050. November is a good time to talk about all of this. But healthier living cannot be confined to a single month. Chuck Malloy of Boise writes columns for Ridenbaugh Press and is the Diabetes Awareness Chairman for Lions District 39W. The International Association of Lions Clubs is the largest service organization in the world. Lions District 39W encompasses 45 clubs from Eastern Oregon to South Central Idaho. Each club serves its community with a variety of projects and donations. Chuck Malloy is the Lions District 39W Diabetes Awareness chairperson for 2014-15.